At the Hot Chocolate 15K in Atlanta, I encountered a new vendor of samples: Biscoff. And this wasn’t just a sample, it was a full size jar of Biscoff spread! Of course, as a Delta frequent flyer, I’ve had more than my fair share of Biscoff cookies and as a food blogger, I’ve been well aware that Biscoff makes a “cookie spread” similar to peanut butter. So it’s odd that I never bought a jar of Biscoff spread at the store before. Maybe this was destiny? Now that I had a jar of Biscoff spread in my pantry, I set to work finding a recipe to use it. 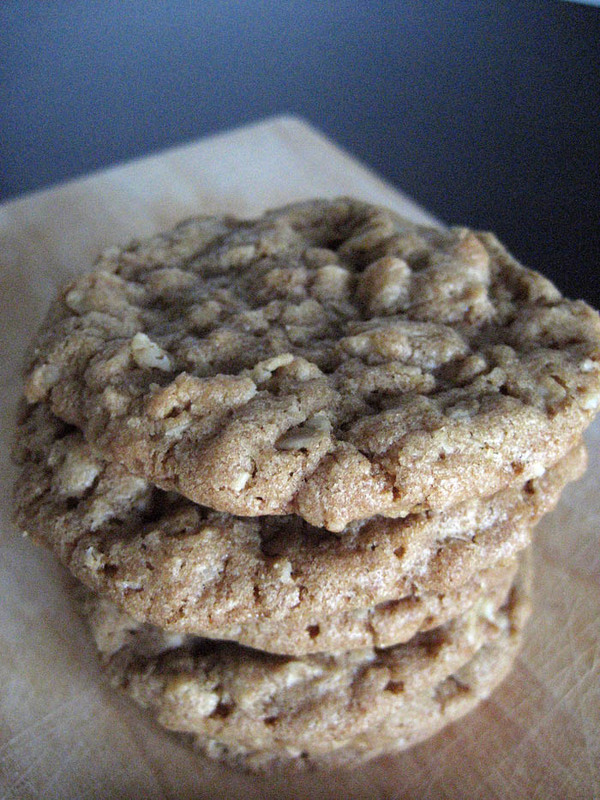 When I came across these Biscoff Oatmeal Cookies I knew I’d hit the jackpot, seeing as how the jar of Biscoff spread was on a shelf next to a giant container of rolled oats. Bingo-Bango. I realized when I was making these and doling them out to my co-workers that it’s difficult to describe the flavor of Biscoff. It’s almost like it’s own flavor. You could try to describe it, but it’d be much simpler to say : it tastes like Biscoff. Savoring bites of these soft and chewy cookies, I came to the conclusion that Biscoff is like a rich caramel, brown sugar flavor. That’s what I get from these cookies. 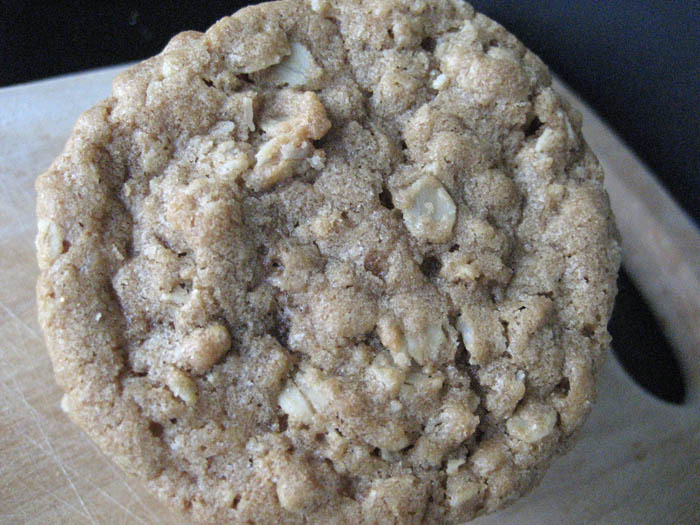 It’s a classic oatmeal cookie, hit with a punch of caramel and brown sugar. I couldn’t help but wonder what mix-ins would work well with these cookies. I don’t think dark or mill chocolate would pair too well, but maybe white chocolate? I don’t think peanut butter would go well, but perhaps some cinnamon or toffee chips? I would like to try it with banana! Like any oatmeal cookie, it certainly wouldn’t hurt to decorate with a simple icing – kind of like the one in these Old Fashioned Oatmeal Cookies. What other flavors do you think would pair well with Biscoff? In the bowl of a stand mixer, add the butter, Biscoff spread, sugar, and brown sugar and beat on medium speed until smooth and creamy. Add the egg and vanilla and beat until smooth. Form the cookie dough into rounded tablespoons and place them 2 inches apart on the baking sheet.. Bake for 8 to 10 minutes or until cookies are golden and just firm around the edges. Let the cookies cool on the baking sheet for 5 minutes and then remove with a spatula onto a cooling rack. I’ve never bought a full jar of the spread either (bad food blogger! ), mostly because of the price. But I’ve had it in chocolate bars before, which was enough for me to know that I love it, and that I’d probably love these cookies! Dang, I’d run a 15K or two for a jar of Biscoff! 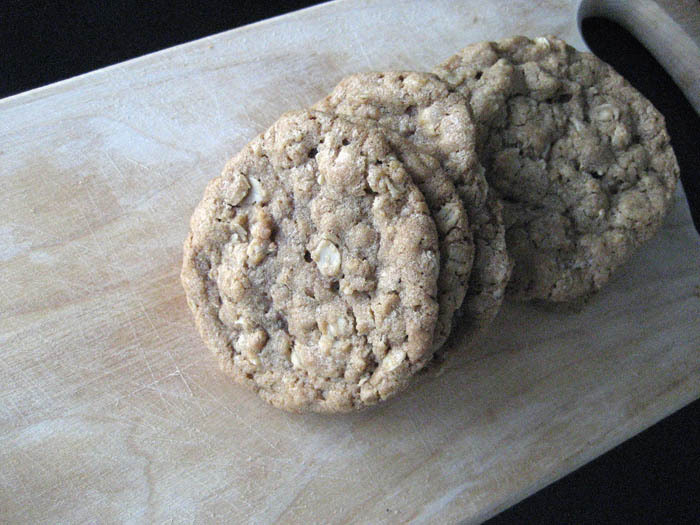 And these cookies are the perfect thing to do with it. Goodbye to all the calories burnt during the run! 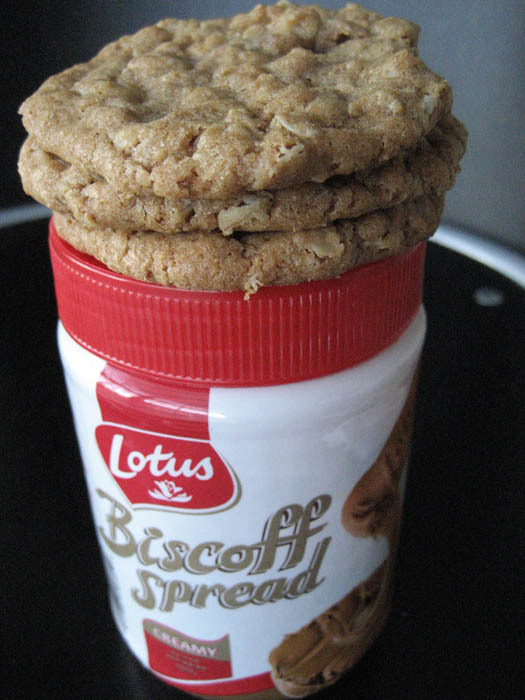 Argh, I keep reading recipes with Biscoff as an ingredient… it sounds absolutely, positively delicious!! I’m pretty sure there’s no such thing in Australia. Not on the West side, anyway (I’ve searched multiple shops just to make sure). Sigh… I might have to think about ordering it online. Thanks for this gorgeous recipe, anyway. Well done you with the cross training. Yay for being able to eat more!